FM-DX-Diary - Harri Kujala, Naantali - Finland: More QSL-replies from France! I've just started to check my old Sporadic E-tapes from the recent past years, and now I have 30 replies from French FM-stations within 5-6 weeks!! Here I list the stations replied during October 2009. I got 4 replies from France Bleu regional stations; FB Perigord (Bergerac, 99.0 MHz), FB Sud Lorraine (Nancy, 100.5 MHz), FB Lorraine Nord (Metz, 98,5 MHz) and FB Haute Normandie (Rouen, 96.5 MHz). This last one on this list is the most interesting case because I found one very old recording from 1985 from my C-casettes!! There were id "Radio Haute Normandie". I mailed this to the station and director, Pierre Desaint, replied quickly and was surprised of the old recording. The most surprising thing is that the presenter (DJ) on my recording, Manuel Quesnel, is still working for the station!!! Radio Cactus is a regional station in departement 38, near Grenoble and Swiss border. I heard this on 92.2 MHz (1 kW, Charolles). - Frequence Plus, Dijon, 95.4 MHz (Dep. 21). Seems to be big station!! Their web-page look fantastic and this station sounds great!! Nice to meet succesful local stations!! - Virgin Radio Roanne, 89.4 MHz (Dep. 42). This Virgin local station has even own web-page! "Bonjour, Quelle surprise !! En effet l'extrait sonore correspond bien à notre radio. Nous sommes situés au centre de la France. 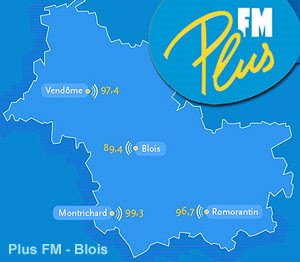 Nous sommes une radio associative avec deux fréquences : 104.4 et 98.2. Notre site internet : www.rbafm.fr Nous allons vous faire parvenir un autocollant de notre radio.Nous sommes ravi et vous souhaitons bonne continuation. 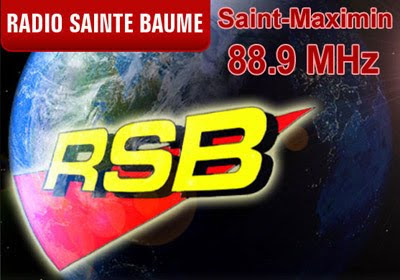 Très cordialement - Stéphane, Radio RBA FM Auvergne-Limousin"
These both RCF-stations gave nice and informative reply. RCF stations seems to reply very well but you must always be sure that the programme is local, not RCF national feed. - Radio Kerne, Ploneis, 90.2 MHz (Dep. 29) was very speacial station to have contact. This station is broadcastinf in Breton language, which is spoken only in Bretagne, France (even 300 000 in all). - Radio Sainte-Baume, Saint-Maximin, 88.9 MHz. This station from very South France, only 40 km NE from Marseille, from very little town (only 13 000 people) in Saint-Baume mountains. The city is known of the beautiful basilica (year 1295) dedicated to Mary Magdalene. - Le Mouv' is part TDF (Radio France). This station is not easy to hear because hey do not have as many frequencies as other national programmes. Le Mouv' is easy to track from the band beause it is rock-based formatted. 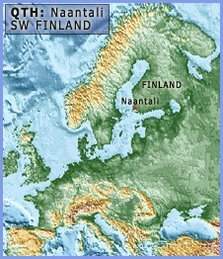 This is a blog for radio-observations from Harri Kujala, Naantali, Finland. You find here logs and highlights from my FM-DXing. Very noisy band in Naantali. No change for real AM-DX at home. -Antennas: 8-elem. 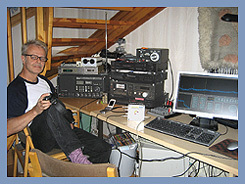 Triax yagi (V) / Körner 15.11 yagi (H) /2 x Triax-preamps / 1 x rotator (H/V).